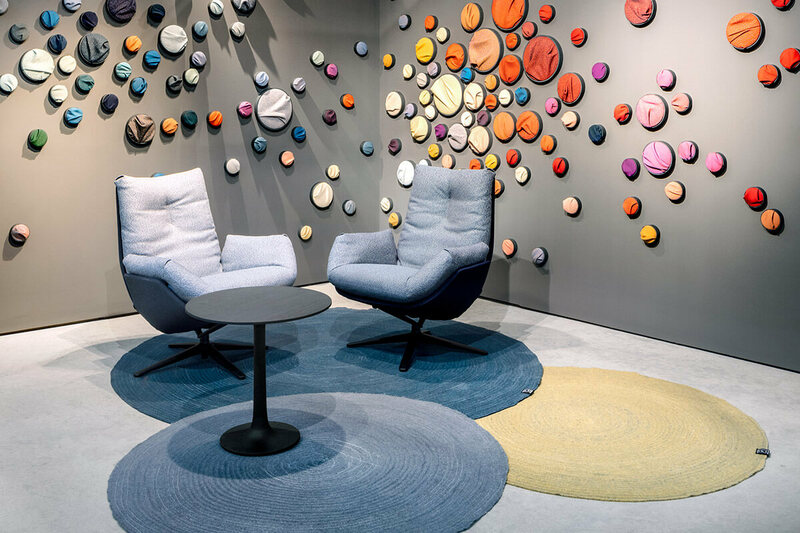 Three circular 13RUGS carpets are the focus of the new rohi presentation in the Design Post at IMM 2019. The three unique carpets tell the story of 13RUGS particularly vividly – the story of production surplus turned into works of art. 13RUGS chose to present three monocolour carpets. The textile works of art reveal the fine play of colours of lines and selvedge joints in this simple monochromacity. The selvedges of the MICA ivy, corn and fels textiles create a homogeneous, finely nuanced colouring.